Yet Hal Puthoff seems to have done alright for himself whilst holding some very weird views. He's a former $cientologist who actually managed to walk away from the organisation with no problems at all. That should raise questions. I teeter back and forth on good ole Hal. Puthoff, Price, Swann, & Taarg all seem to have gotten a 'pass' when it came to Hubbard's official bylaws strictly forbidding any member of that org that shall not be named from being employed by US intel agencies. That is the implication of course, or could it be that some or all of them were double agents working on behalf of Uncle Sam? It could explain why some of them were able to walk away without being labeled a suppressive person. One thing is for sure, something about Puthoff doesn't add up. I got to agree with you there. 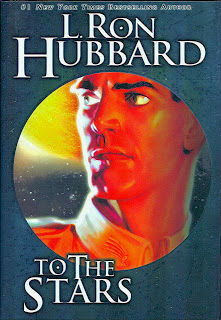 The fact that Hal was able to walkaway from Scientology does raise some serious questions, even only a small knowledge of Scientology, people know that you just dont do that. For someone to walk away with no come back at all, is very very odd and not common place at all. There are a few members on ATS who have climbed the ranks of Scientology and have documented their lives after leaving; not pleasant at all! Good Ol' Hal reached one of the highest levels too, which makes it even more interesting and well.. worrying. Yes he's now on the board of "To the Stars Academy". It does make at least some people wonder. Nobody knows James Randi and he's not a household name and he is a useless measurement of anything. and using this logic so is Skinwalker ranch, its a useless measurement of anything paranormal as its not a household name either. Not defending anyone just pointing out the faulty logic in how you expressed that post. Skeptics like James Randi and Phillip Klass do not bring scientific testing to the debate. They are only there for the media to debunk things. It's a horrible approach to scientific research. In case you are not aware Bob Bigelow actually assembled a team of scientist to evaluate the Skinwalker ranch. I'm sure this will be detailed in the Skinwalker documentary. Forget james randi, he's an armchair scientist that doesn't do any research...just bashing those who do. He's barely useful in any debate. Forget james randi, he's an armchair scientist that doesn't do any research...just bashing those who do. He's barely useful in any debate. I never had him in mind to forget him. as stated I wasn't defending him just pointing out your way of attempted discredit was faulty. In case you are not aware Bob Bigelow actually assembled a team of scientist to evaluate the Skinwalker ranch. I'm sure this will be detailed in the Skinwalker documentary. Its the whole purpose of spending the money is to make the money. Absolutely... Don't know what I have to do in order to have a genuine experience. Hell. Drag me along. I seem to simply exude weird. All I have to do is just... sit there, and weird **** will crank up. No mumbo jumbo, no nothing. I just have to be present. Not responsible for heart attacks, wet pants, or any other panic related problems that may crop up. I will have no control over what pops in, so it'll be whatever happens by and thinks I'm entertaining or whatever it is I am or do. I understand your skepticism, but these shills like Rhandi and Klass are making money off no research and being paid to take the opposing opinion. Maybe if you're patient and not so dismissive, you can watch Jeremy's documentary and see for yourself what was found out instead of waving it off before the information is shared. It isn't just scientists risking reputations. Jeremy is putting his reputation on the line pursuing these edge of reality projects. The entertainment industry can be just as judgemental. You can see Jeremy works to weave in all the facts to bring the evidence and some credibility to what was researched. Though he lets the viewer decide on the final verdict, he is not pushing a viewpoint...how refreshing!